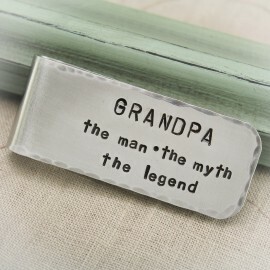 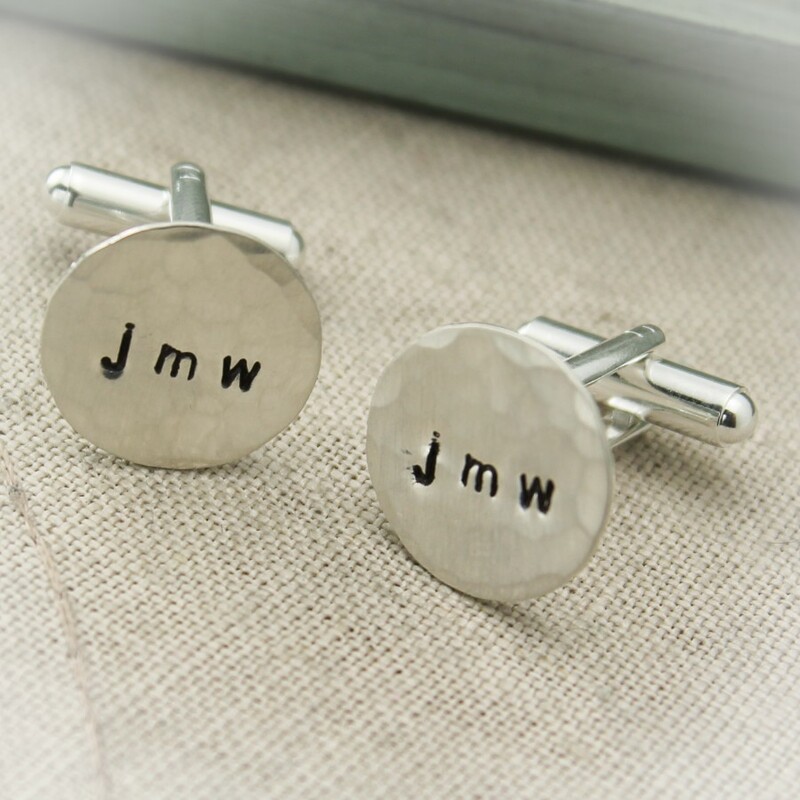 The perfect gift for your dad, grandpa, groom or groomsmen. 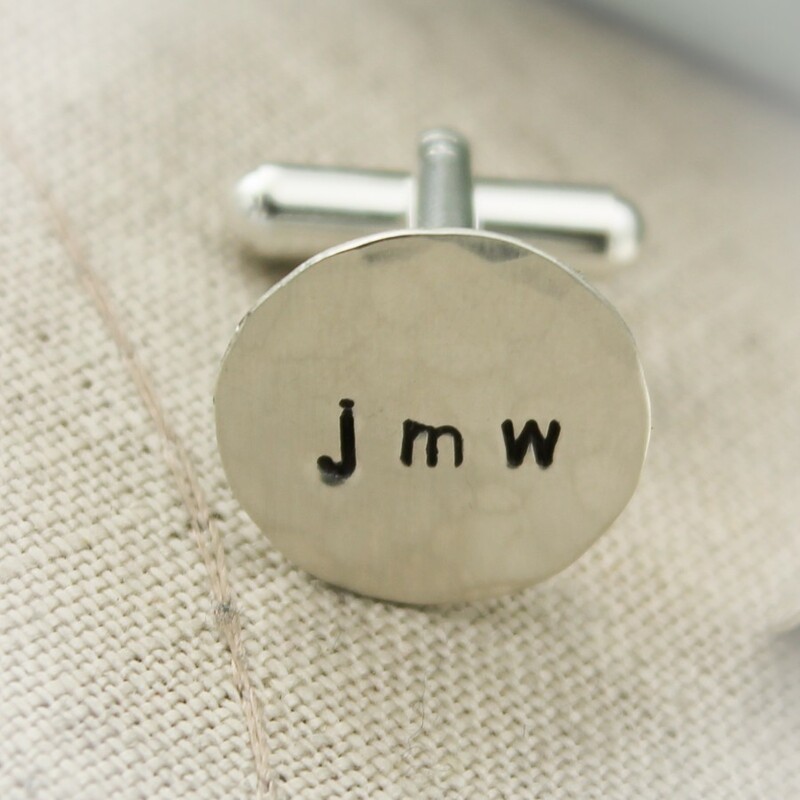 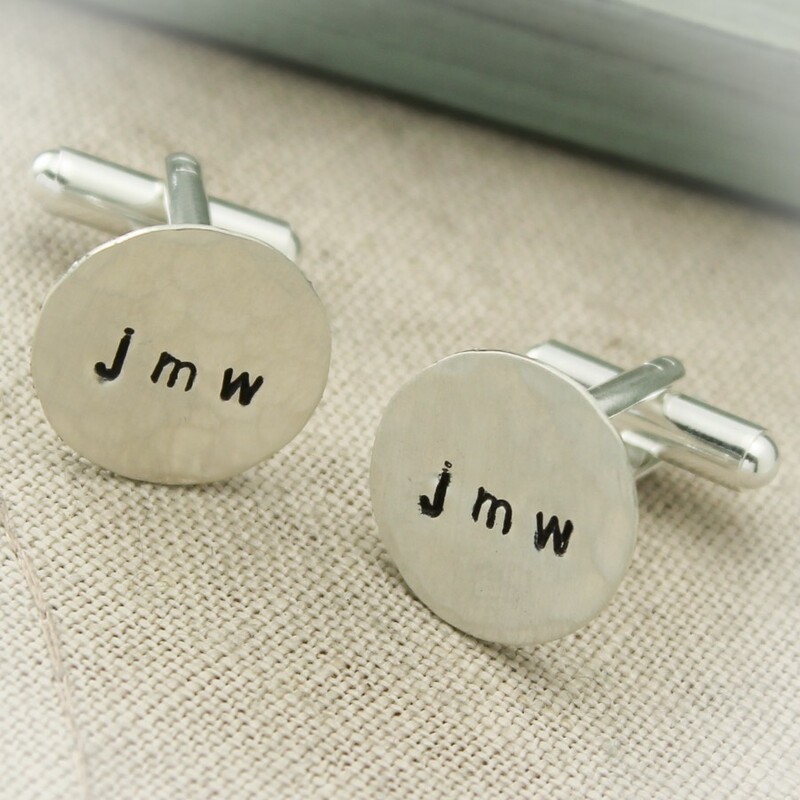 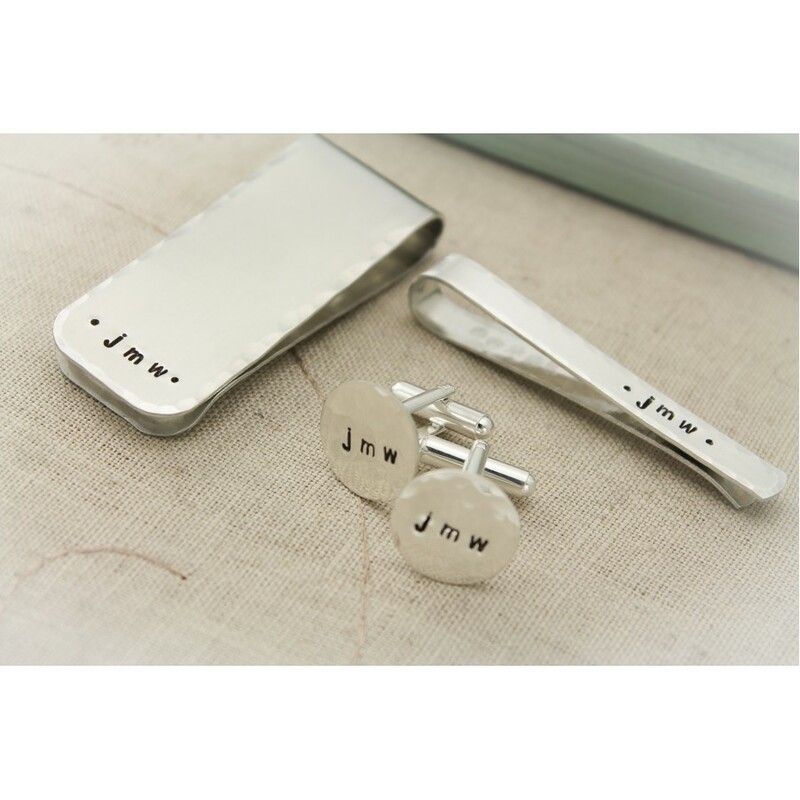 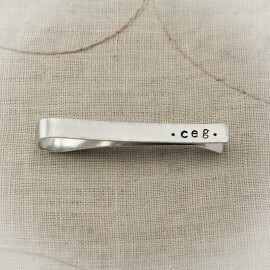 These cuff links can be personalized with the names, initials, or date. 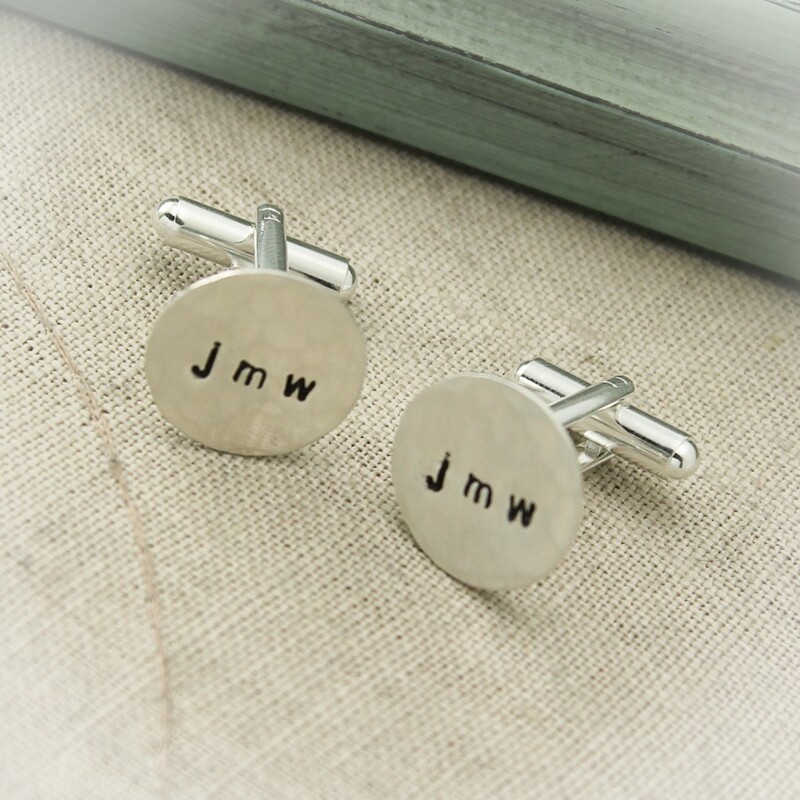 Get both cuff links the same or get something different on each one. 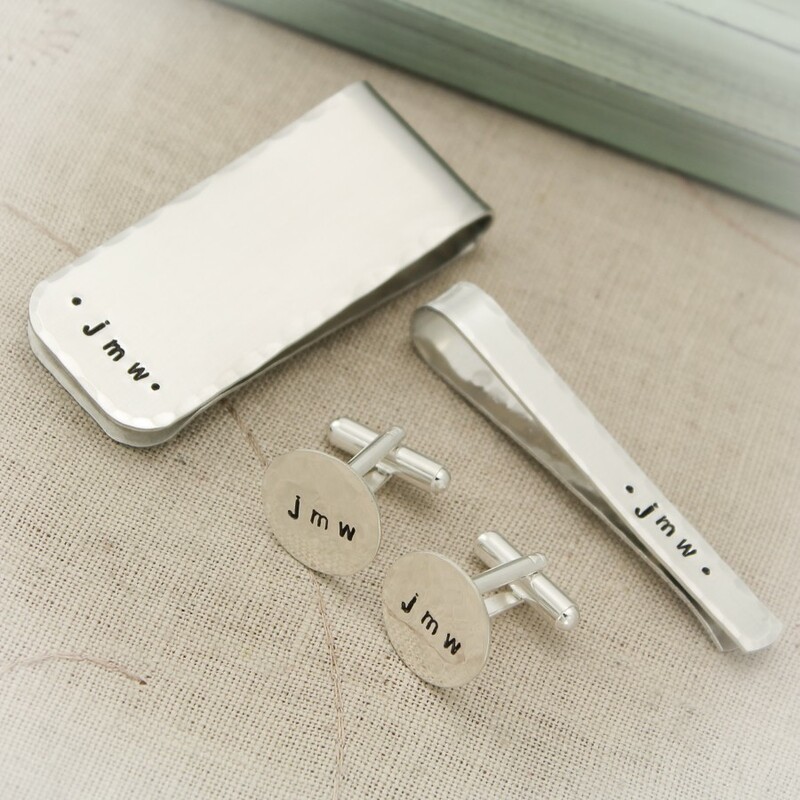 Available in different finishes - shiny, satin, hammered, hammered edges. 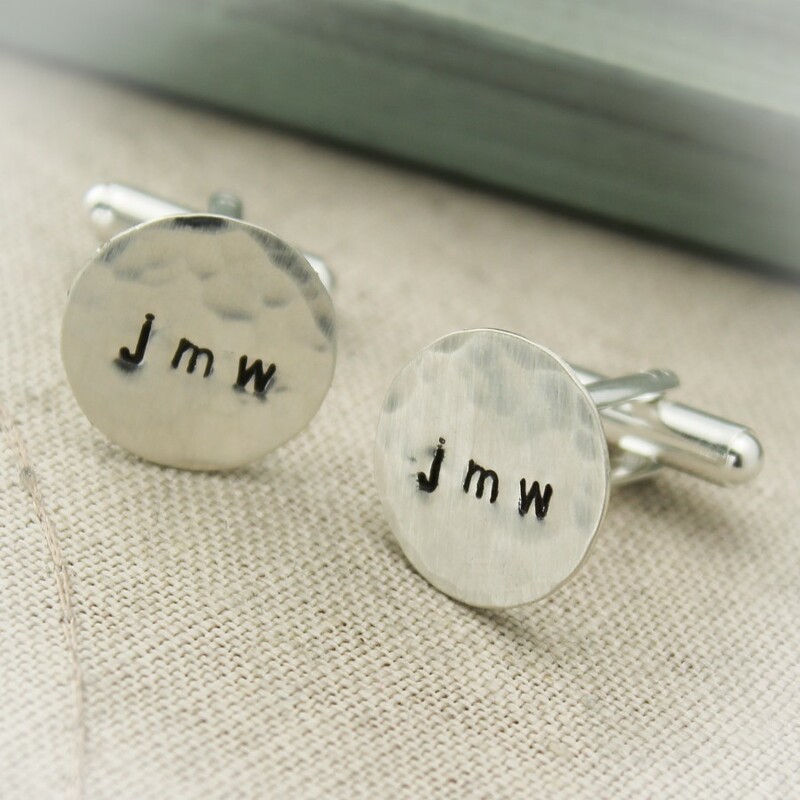 These come gift wrapped in a lovely gift box for especially for cuff links. 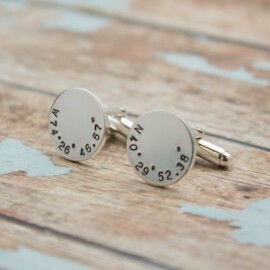 Cuff Links are 5/8" in diameter. 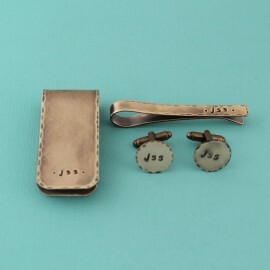 The tops are sterling silver and the bases are silver plated.